Clementine is my cat. This is her blog. I will type for her for the time being. 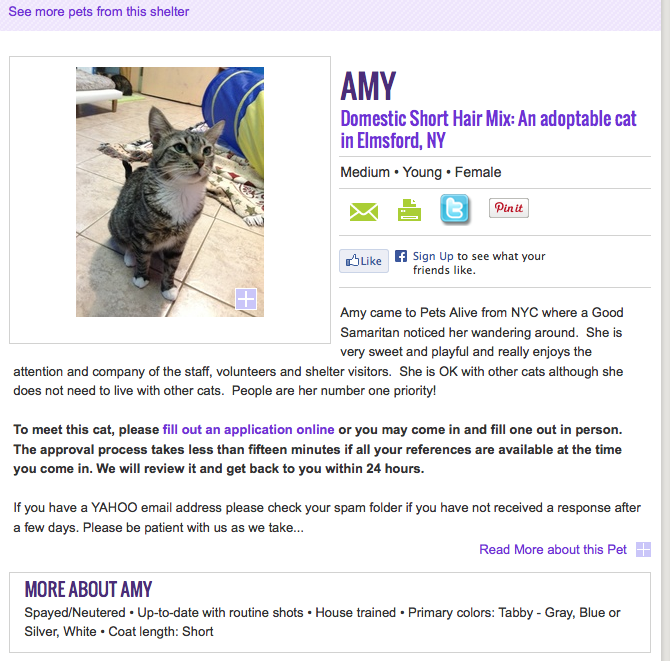 Here's her Petfiner ad from August, when she was still in cat jail- and they called her Amy.